How to Carry 5 Bikes on a Car! 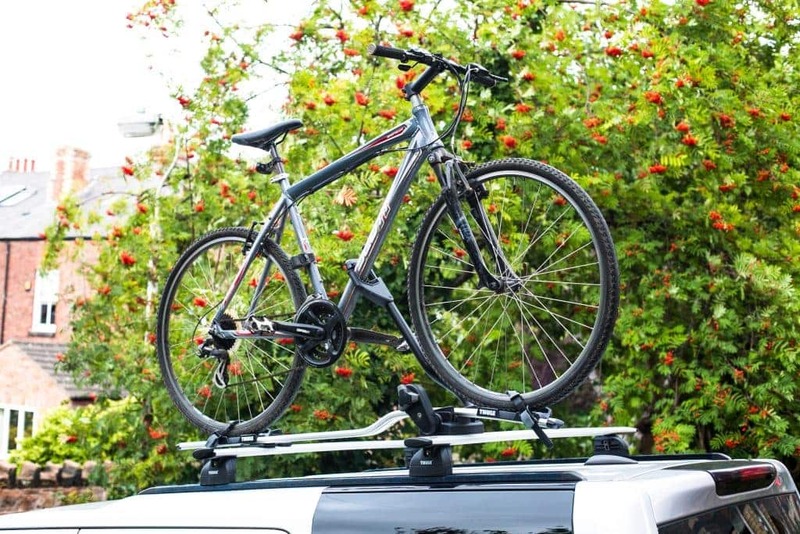 It turns out that the reason I couldn’t find a 5 bike carrier is that they quite simply don’t exist – if they do I would honestly be delighted to be proved wrong so I can update the blog post with one, however all the forums I thought I’d found the answer on don’t actually link to current bike rack that you can buy. So the solution that we have come up with, in collaboration with Thule, is carrying 4 bikes on the back of the car and 1 bike on top! 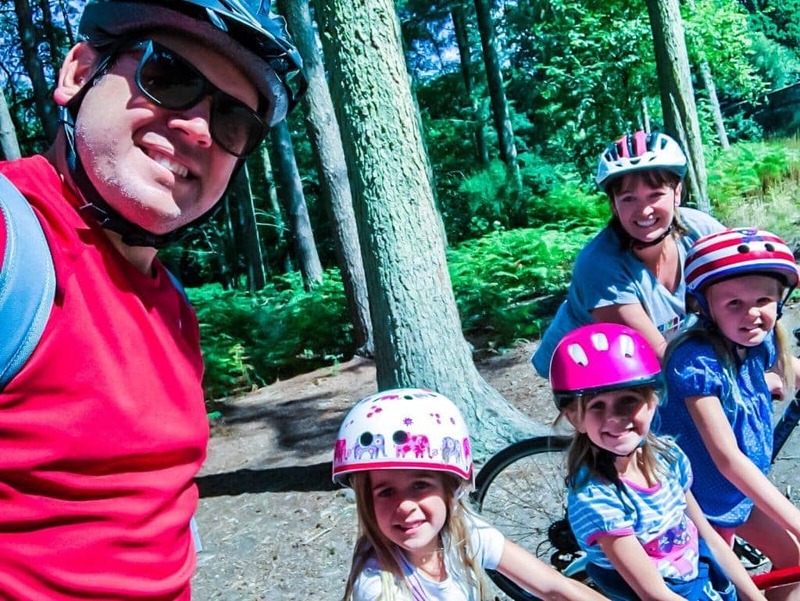 It means that we can finally head out on our bikes all together! Ok so that’s the easy answer to the solution but what did we need to make it all come together. I have to say that this bit wasn’t completely straightforward and you do need to pay very close attention to the website and use the Thule Buyers Guide to help. I’d also really recommend leaving a bit of time between wanting to go on the trip in your car and ordering the kit. As when we first placed the order we hadn’t realised we needed the 13 pin to 7 pin adaptor and the extra wing bars too. A combination of not reading the guide properly (our error) and actually working out what you need when you fit the kit to the car. Have a tow bar fitted to the car. TOP TIP: Consider buying a second hand tow bar on ebay! We saved £300 on the crazy Landrover price and paid just over £100. 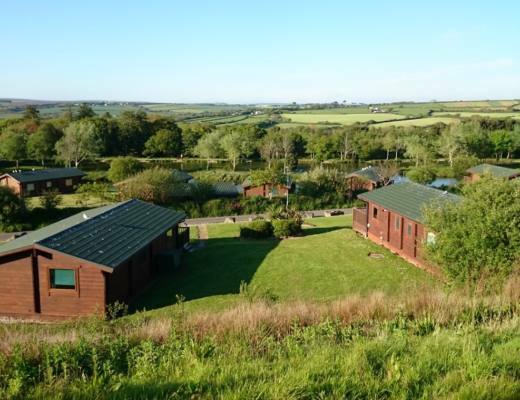 So our solution was not in anyway cheap – in fact in total it came to £904 but it is safe and it does work. So are we pleased with our solution to carry 5 bikes on the car? 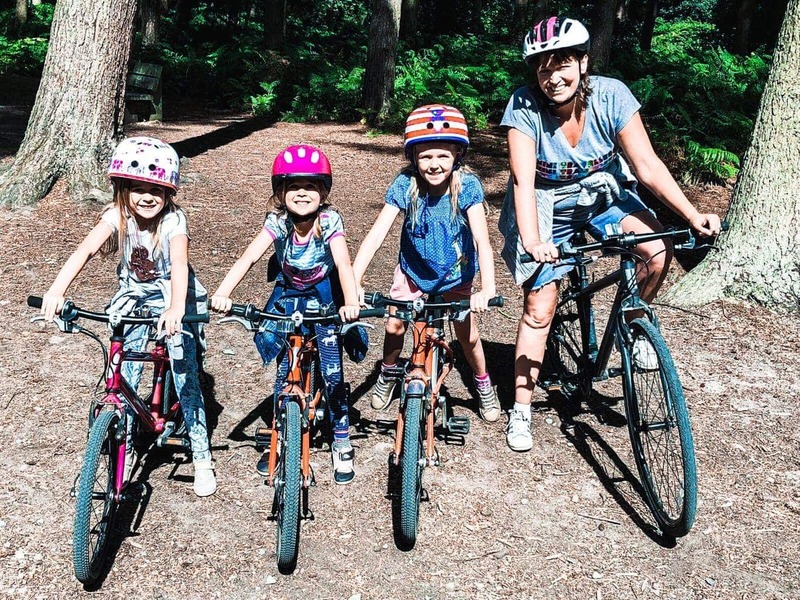 Yes we are, it means we can go out all together and that was the aim BUT it is a little tricky as we still have to consider where to park, and we have to make sure we don’t forget about low bridges unless we want the top bike to come flying off! The bike rack also take a little bit of practice to all put together. At the moment (4 trips in) it takes my hubby around 30 minutes to get all the bikes out, the carriers on and the bikes too. I hope it gets quicker as this won’t always be desirable. 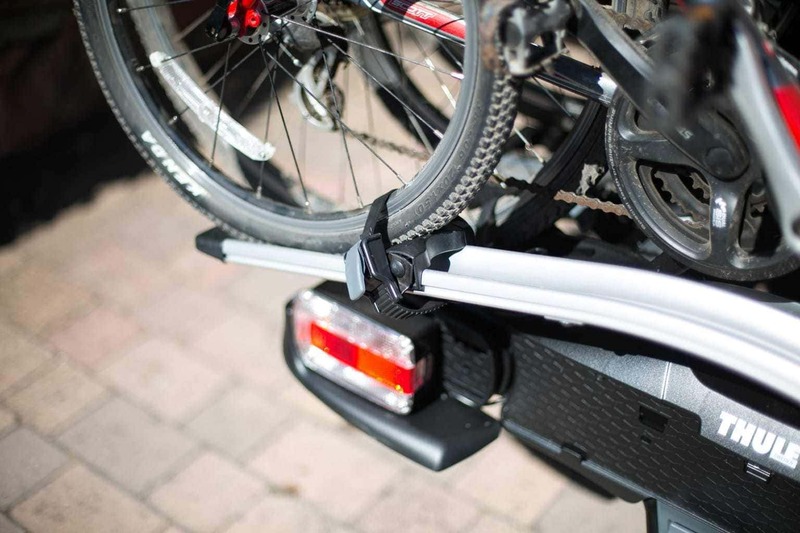 We have borrowed a bike carrier before though (not Thule) and ultimately decided not to use it, as it felt flimsy and too light. This is not in any way a criticism that you can make about the Thule products, they all feel very substantial and of fantastic quality. 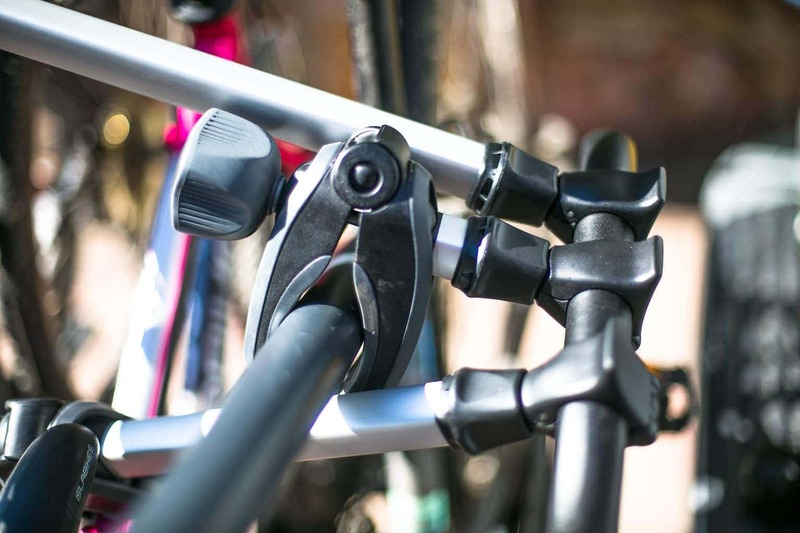 They certainly feel like quality bike carriers and safe enough to use for the most expensive of bikes too. 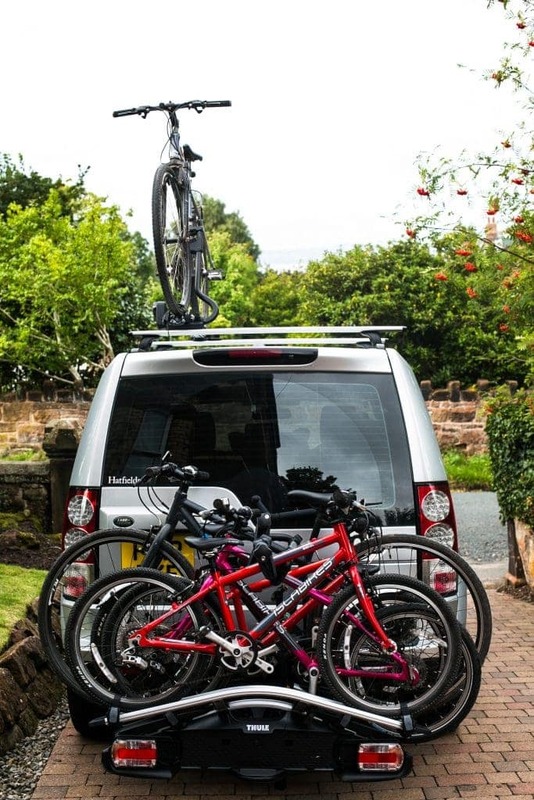 I’d be delighted to update this post with any other tips and suggestions people might have about how to carry 5 bikes on a car so if you do have any, please do get in touch. 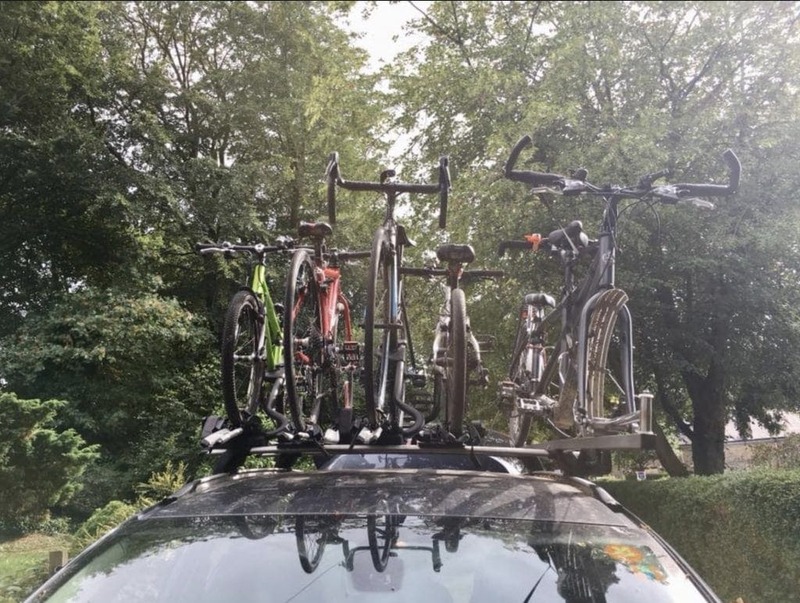 In response to our request for other ways of carrying 5 bikes on your car – here is a photo from one of our readers showing 5 bikes on top of the car. The bars are ‘Whispbar’ not Thule. They are in the words of Dominic “more aero than some and thus in theory quieter and have less of a fuel consumption impact. We don’t notice much noise from them. But with 5 bikes on the car does use c10-15% more fuel at motorway speeds. Difference is less when driving slower. NB: Our collaboration with Thule meant that they provided the carriers and accessories in exchange for some social promotion. Next Post Visiting London using Competition Wins!